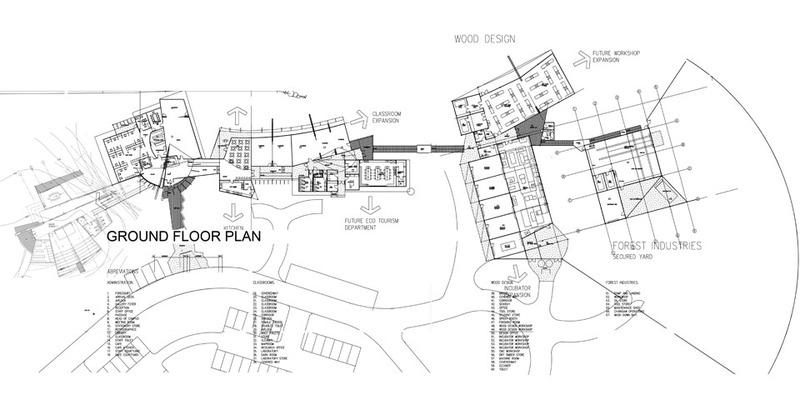 The design incorporates a ‘street’ concept to which all the activities on the campus are linked. This ensures that there is a strong interaction between the various student and staff groups. Certain deliberate planning aspects help reinforce this interaction, these are a common staff office, a café, that serves both the students and the staff, and the placement of all the classrooms in one location and not adjacent to each department. 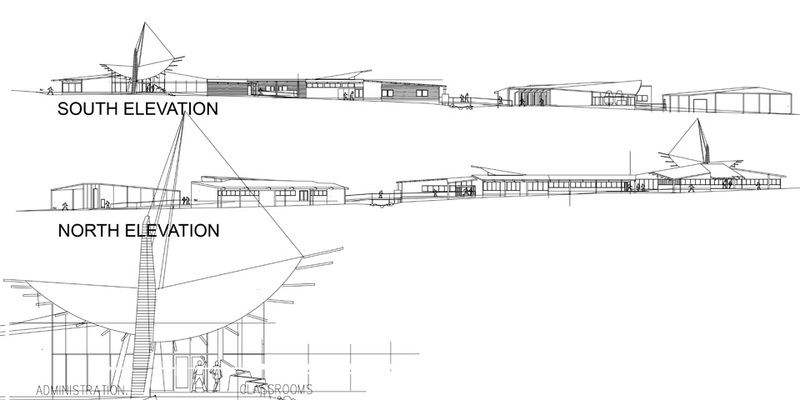 The design is linear in form following the ‘street’ that runs in an east west direction. 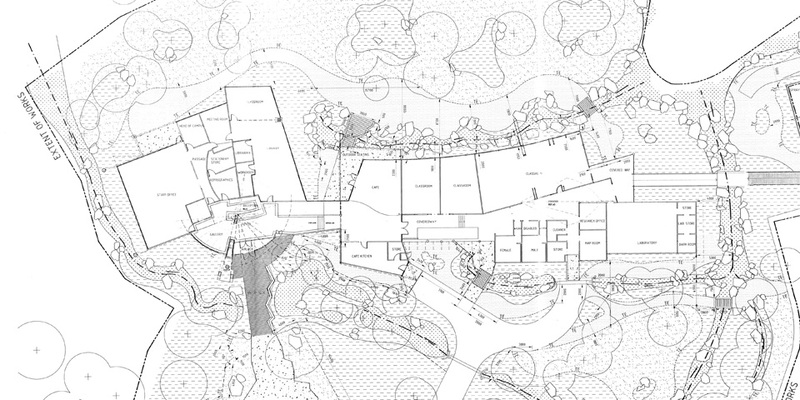 This enables the building to follow the fall of the land and sit below the tree canopy, and more importantly to maximize the north aspect for solar access. 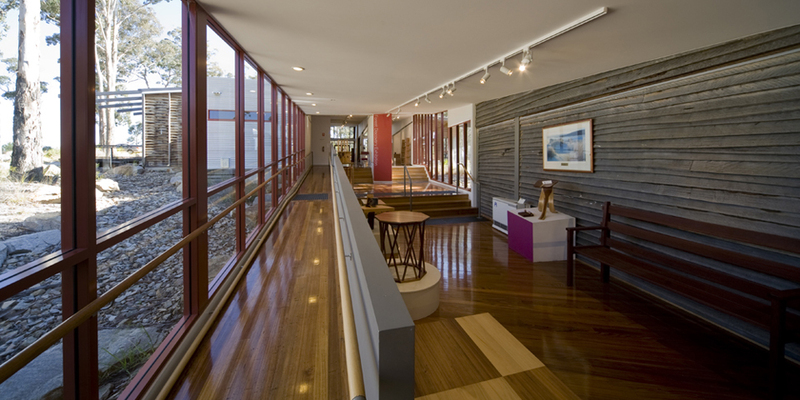 The visible materials are all East Gippsland timbers and were chosen for their high yield and durability. 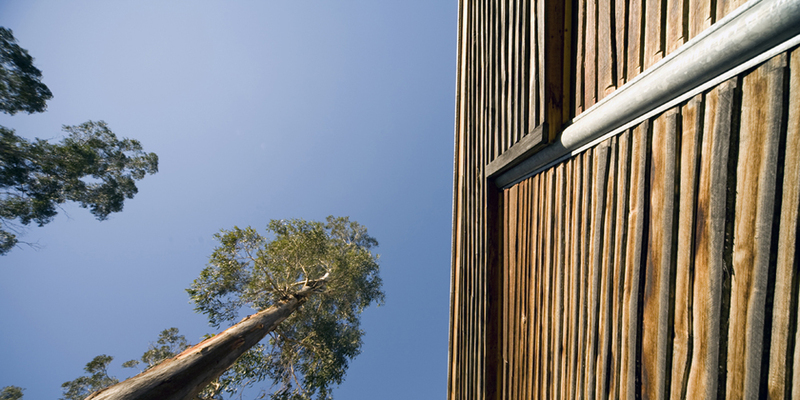 The external weatherboards are radial sawn yellow stringy bark which is untreated or finished thus reducing maintenance. Radial sawing ensures that the recovery from the log is the greatest possible, and also has the benefit of minimizing the warping and twisting that results from conventional sawing. Internal timbers such as feature grade plywood’s and flooring. Exposed timber trusses all employ local hardwoods. 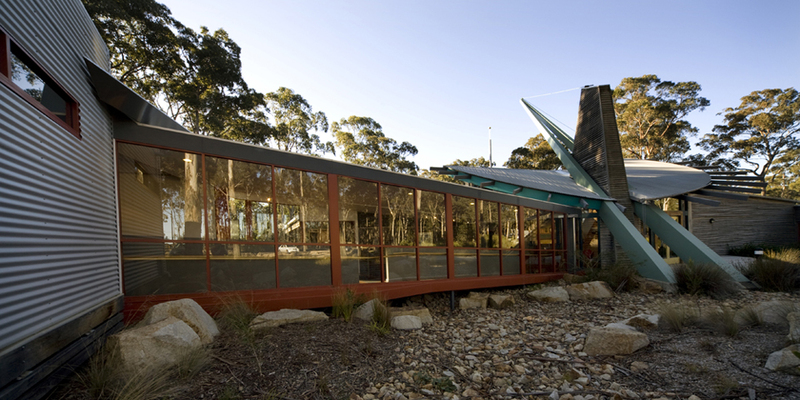 The structure combines the use of timber and with some steel which reflects much of the construction of the furniture created by the students. 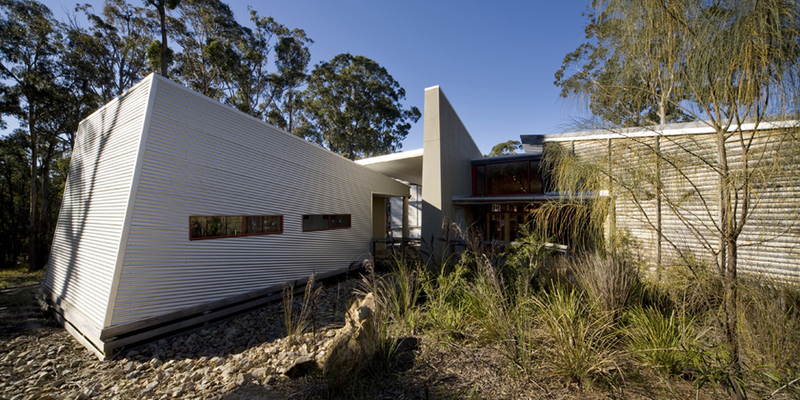 The other material employed extensively in the complex is corrugated iron in natural finish which has been used on the roofs and also for some of the wall cladding. This is a product that has a long association with the hardwood timber industry, especially in traditional timber mill structures. 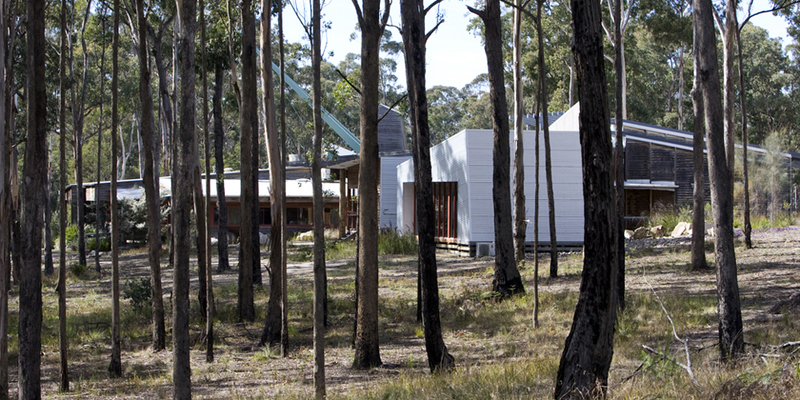 As Forestech sits in a forest, care has been taken to minimize the effects of bush fires. Timber at the eaves level, especially on the north side, where the fire threat is the greatest, is eliminated and gutters which catch leaves have, where possible, been deleted. Decks on the north side are concrete rather than timber decking. There are no slatted base boards to buildings where sparks or wind driven embers can penetrate. 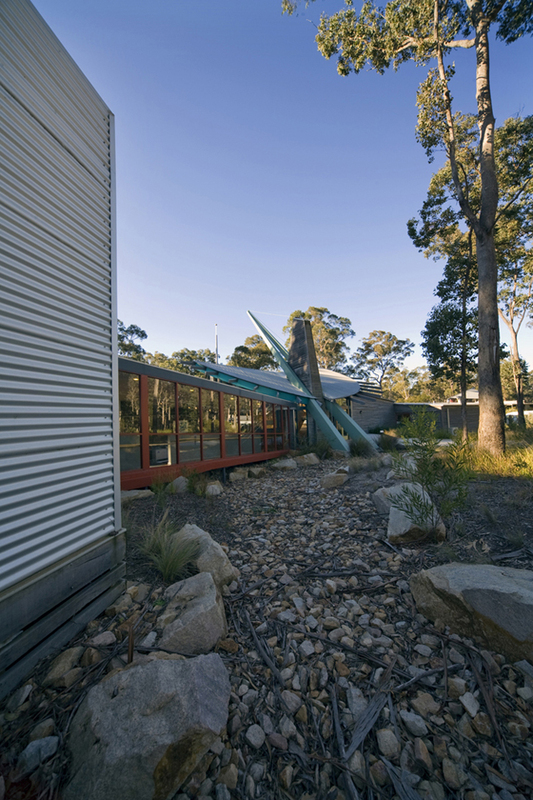 The materials were chosen to reflect the function of the building and the location of the facility. 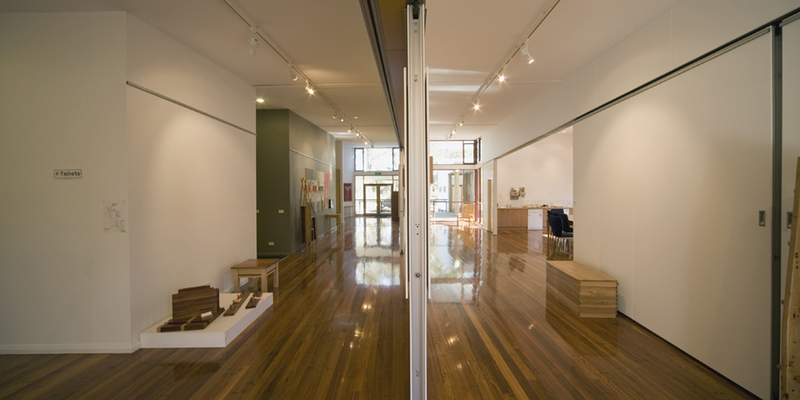 Visible materials, where practicable, employ East Gippsland hardwood timbers. 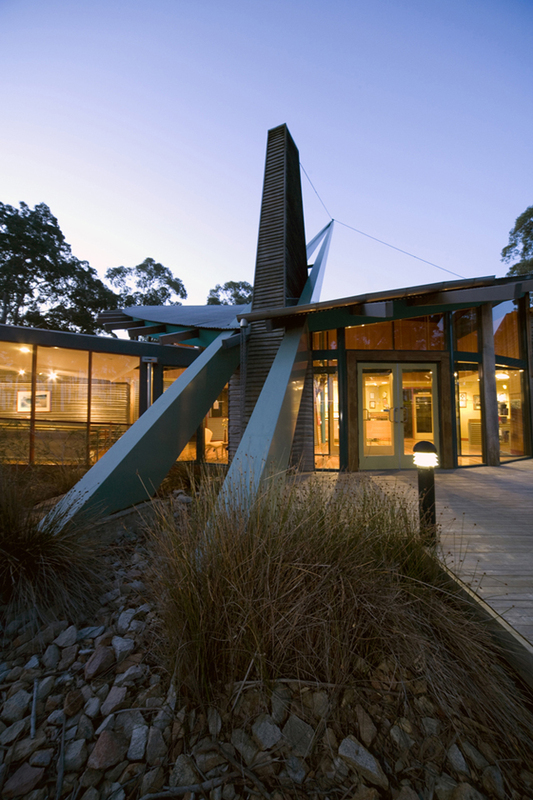 The structure uses common bush poles won from the forest combined with timber trusses and some steel framing. The visible trusses are native hardwoods while the concealed trusses, together with the wall framing, use plantation pine framing. 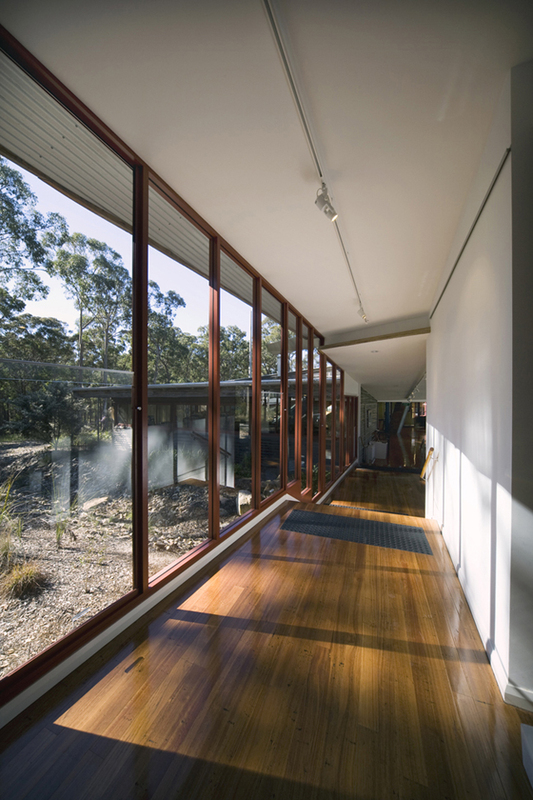 The materials being generally natural are non toxic and provide a healthy building. Mechanical systems are low technology with the emphasis on natural ventilation and passive solar design with back up from ceiling fans and small package air conditioners for specialist areas. 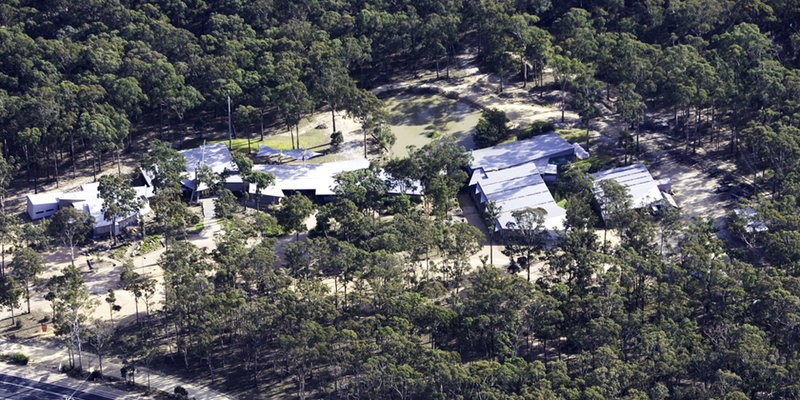 Forestech continues to be the home of East Gippsland’s Advance Tafe’s curriculum for conservation and land management.